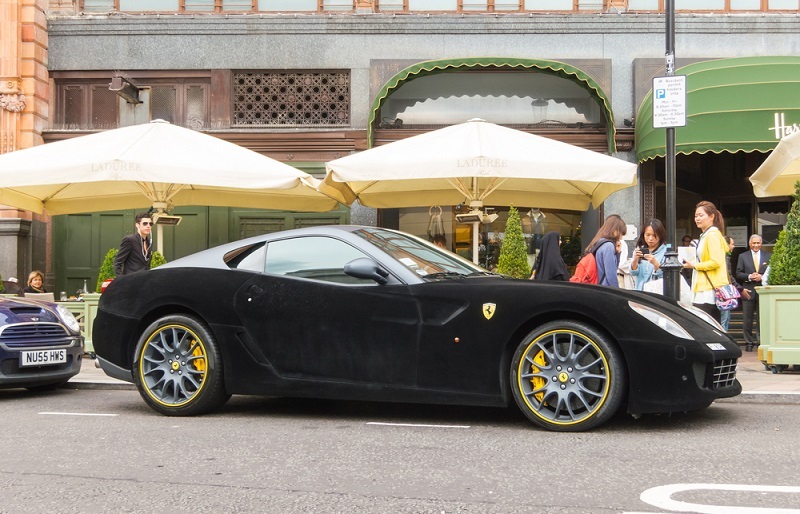 Ferraris, Paganis, Lamborghinis and Bugattis are just another part of living in many fashionable parts of London, however inappropriate and anti-social use of the super cars may soon be outlawed. Residents of the Royal Borough of Kensington and Chelsea have complained about the influx of holiday home-owners who come for the summer months to stay in London properties bringing their supercars and causing disturbance. Councillor for the area Tim Ahern has stated that "expensive cars racing around Knightsbridge and also parking up and revving their engines" is something of a problem for long-term residents and said: "We want to take steps to discourage these drivers from their antisocial behaviour." The council have proposed legislation to make it a criminal offence for drivers to rev their engines, leave engines running whilst the vehicle is stationary or to accelerate or pull away quickly. There would also be a ban on playing music loudly, honking the horn and also driving in convoy. A consultation document issued by the council on Friday proposes that a Public Spaces Protection Order (PSPO) be imposed on a large area of Knightsbridge to target the problem. The documentstates that it is in response to: "the excessive level of noise, nuisance, annoyance, danger or risk of harm or injury caused by motor vehicles to members of the public and property in the area". A PSPO is a relatively new power for local authorities granted under the 2014 Anti-Social Behaviour, Crime and Policing Act, however the suggested use to target supercar drivers would be the first use of the order aimed at anti-social driving. What will the consequence be for anti-social driving? "The noise goes on all day but it is worse in the evenings and at night. It used to be limited to the summer, but now it is becoming pretty much all year round. We are just trying to stop these people who are abusing the rules and using their cars to make a very loud noise." "The area has become a destination for boy racers from the Gulf states, and their supercars make an enormous amount of noise. They rev their cars and they can be heard right across the neighbourhood."